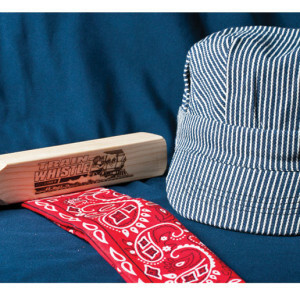 Baby Engineer Kits | Brooklyn Peddler | Fine railroad novelty items and other fun things including the best wooden train whistle made! 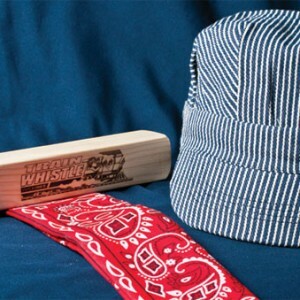 An adorable baby engineer bib, plus a baby-size engineer hat and your choice of either a train-shaped baby sippy cup or a floating engineer duck. All are packaged together in this loveable gift item for the very littlest “engineers”.